Hon Nuoc Lighthouse is located 120km from the city of Quang Ngai and 70km coastal road from Quy Nhon. Hon Nuoc Lighthouse is located 120km from the city of Quang Ngai and 70km coastal road from Quy Nhon. 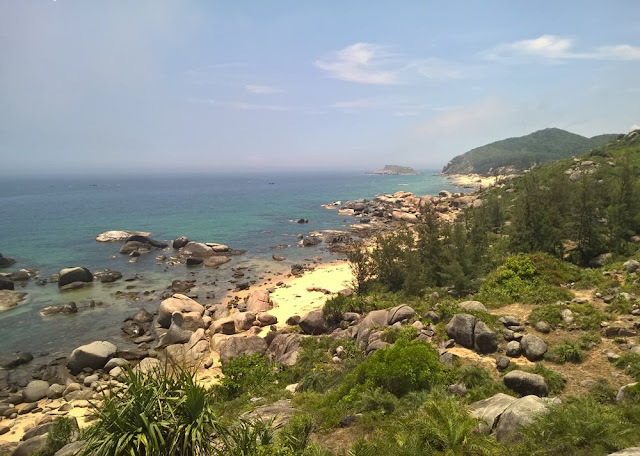 Whether departing from any city, travelers will have interesting experience when admiring the mesmerizing landscapes on the coast of Vietnam. 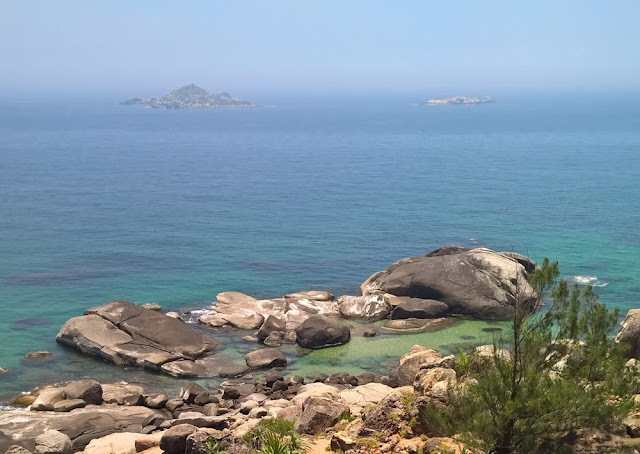 Situated atop of Ga Go peak at the mountain range of Go Dua, Tan Phung Village, My Tho, Phu My, Binh Dinh, this lighthouse was built in the French colonial era and is also called Vung Moi Lighthouse. 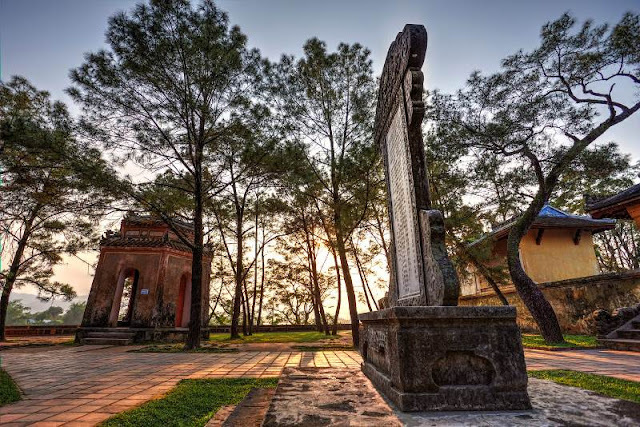 According to historical documents, Vung Moi just worked for a while before destroyed by the war. In early 1990, the lighthouse was newly built and officially put into operation on the date 26th march 1997. 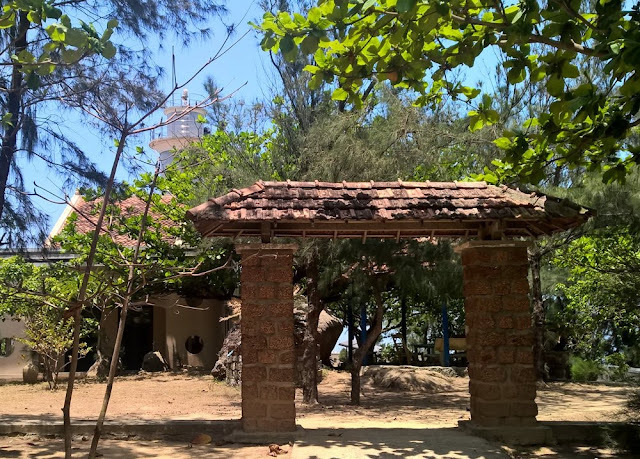 Hon Nuoc Lighthouse is named after the Hon Nuoc Island located nearby. The geographical coordinate of the lighthouse is 168 ° 14 'N - 109 ° 108 "E, with the effective range of 21 nautical miles during the day, and 18 at night. The 16.2m light tower was built of dark gray stones with the height of the light is 62.5m above the sea level. The main lamp (APRB 251 DC) emits white light, flashing every 5 seconds, meanwhile the auxiliary lamp is the type of HD300. Travel to Hon Nuoc Lighthouse, visitors will have chance to admire the dreamy landscape of the vast sky and sea. From a high, the area looks like an endless field of stones in many shapes and sizes being "arrayed" on the slight waves. Accidentally, these "army stones" created small depressions in the blue water, where are the refuge and feeding ground of many crabs and small fish. 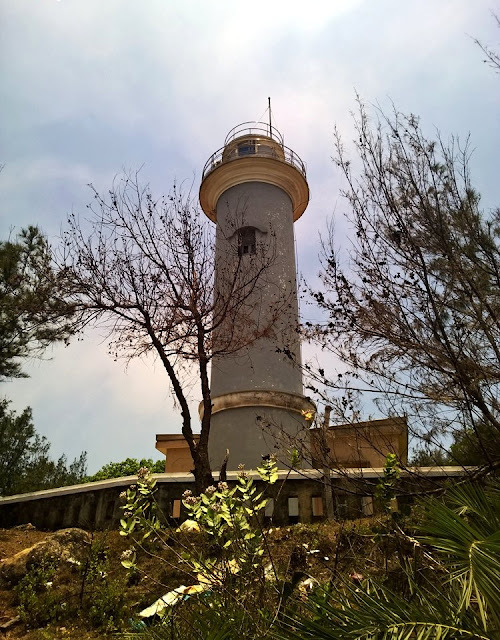 Besides admiring the magnificent scenery of Hon Nuoc Lighthouse, travelers can also immerse in the clear water at the foot of Go Dua Mountain. The locals called this place Bai Con. 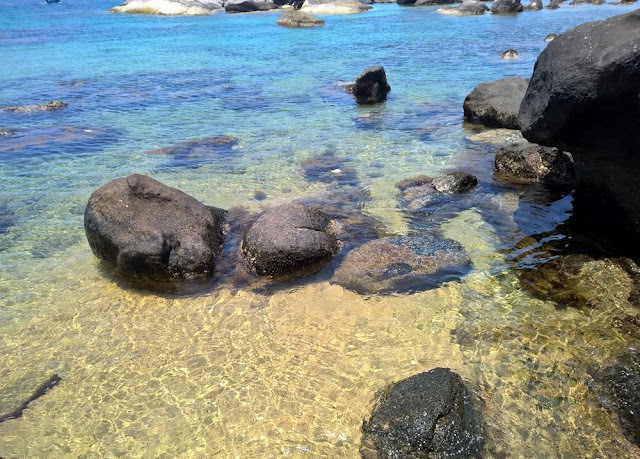 The more it’s sunny, the clearer water is. Travelers can dive into the water to see everything on the seabed. If cannot swim, visitors also can climb the rocks and observe the dreamy charm of the underwater world. Bai Con has a long sandy beach suitable for those who want to camp overnight and enjoy the sunrise over the sea. But this place does not have any travel services, thus travelers need to prepare food, drinks, tents and other essential items. Travelers can also try to catch fish along the beach. Just a bit tricky as you will have a seafood barbecue meal right on the beautiful coastline. 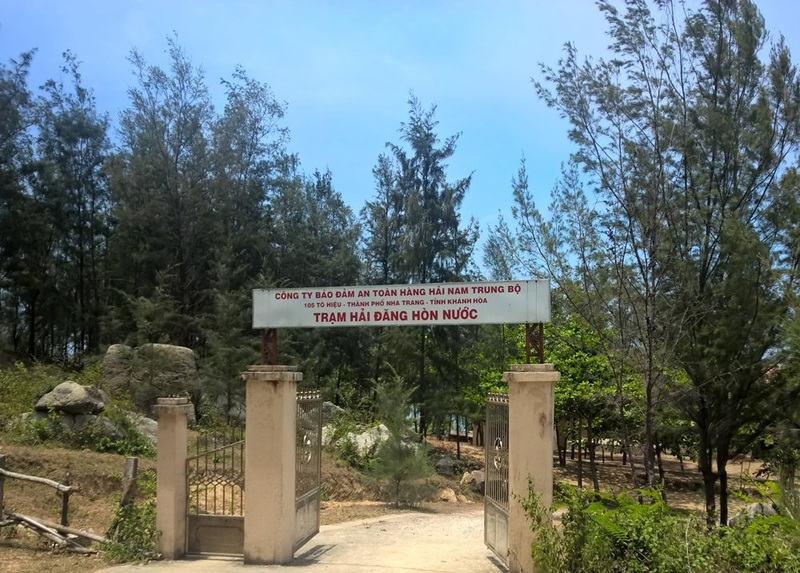 Travelers have chance to reach the two other destinations around Hon Nuoc Lighthouse are Lo Dieu Pass and Mui Vi Rong (also called Mui Rong). Both locations are interesting places where offer brand new experiences when travel to the lighthouse. - From Quy Nhon, crossing Thi Nai Bridge, travelers turn left on Highway 19B and just go by the coastal road DT640, TL632, DT639 to reach Hon Nuoc Lighthouse. The Highway 19B is quite easy to drive, but DT640 and DT639 started in trails with more potholes and rubbles. 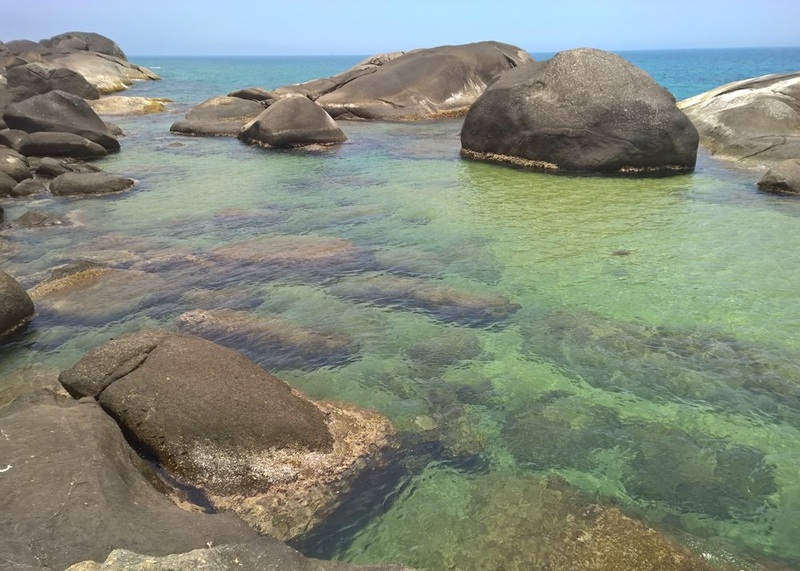 On this 70km way, travelers will pass Nhon Ly (where is famous for its Ky Co Beach and Eo Gio), Trung Luong picnic area, Cat Tien and De Gi Beach, Mui Rong. 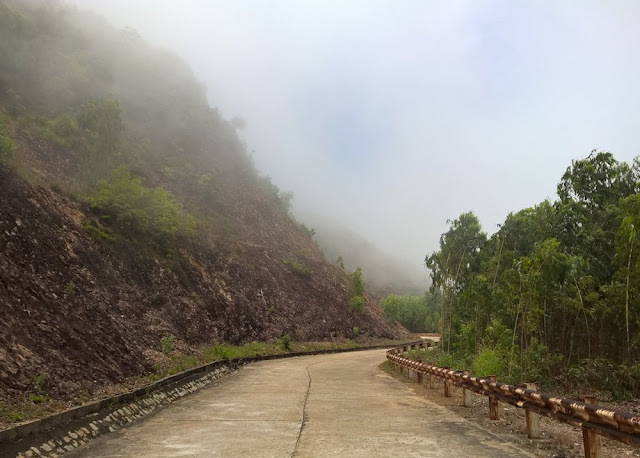 - From Quang Ngai, travelers can go on the 1A National Highway then turn left at Tam Quan into the DT639, passing the Lo Dieu Pass to the lighthouse. This is a 120km long road but easier to go and quite beautiful. 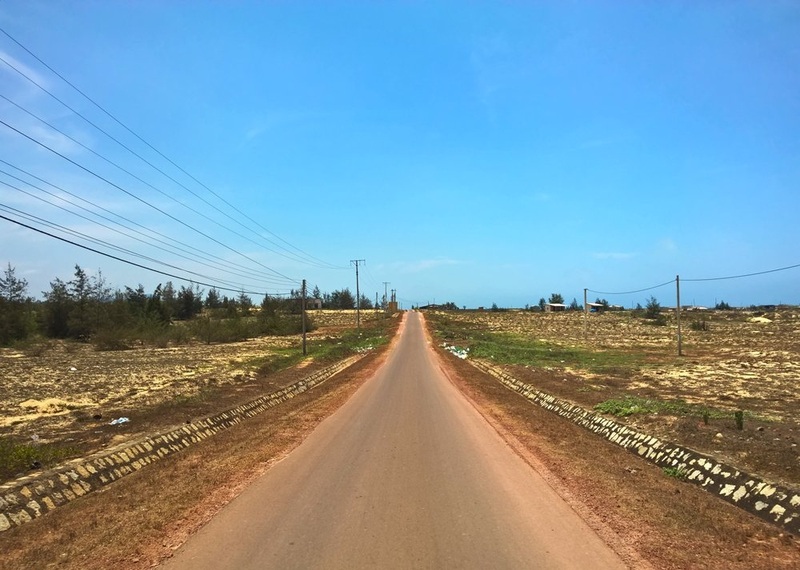 Along the way, travelers can stop at Sa Huynh Beach, fanciful Lo Dieu Pass, or Lo Dieu Reef. - DT640, TL632, DT639, QL19B are deserted roads and have no gas station and garage. Therefore, travelers should check the gasoline before departing. 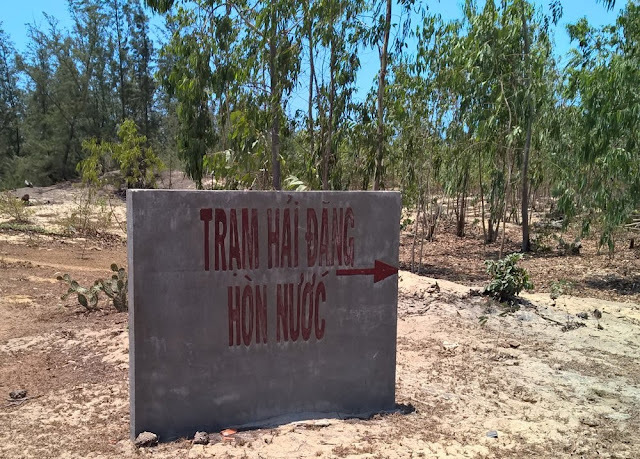 - Crossing the DT639 to the sand road till seeing a sign of Hon Nuoc Lighthouse Station, travelers follow the directions to reach the destination. 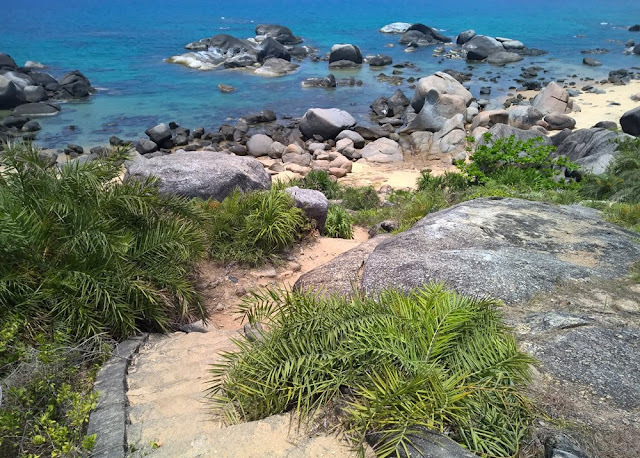 - The road to the lighthouse is a bit of hard to go, thus travelers should drive carefully. - Be careful with the angry dog at the gate of the station. Visitors should also ask for the permission to visit the lighthouse. 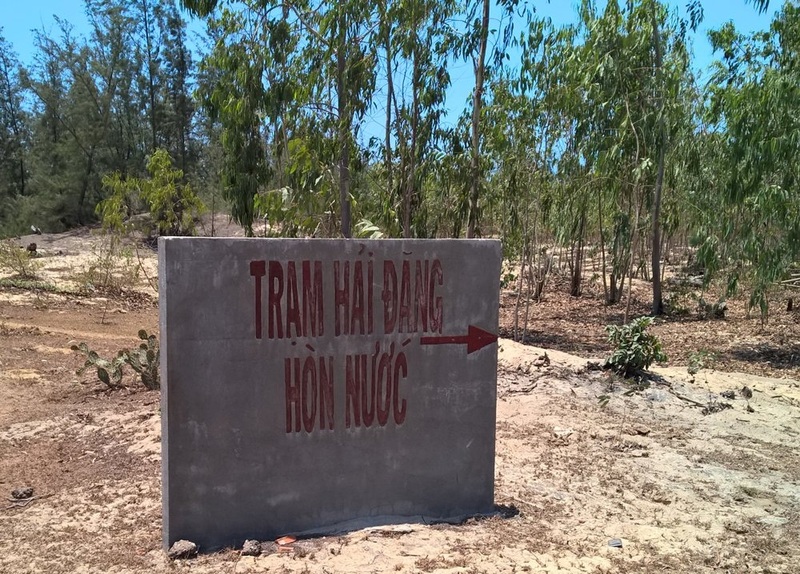 - Travelers can purchase food and drinks at a small market in Chanh Trach Village, located around 2km from Hon Nuoc Lighthouse. 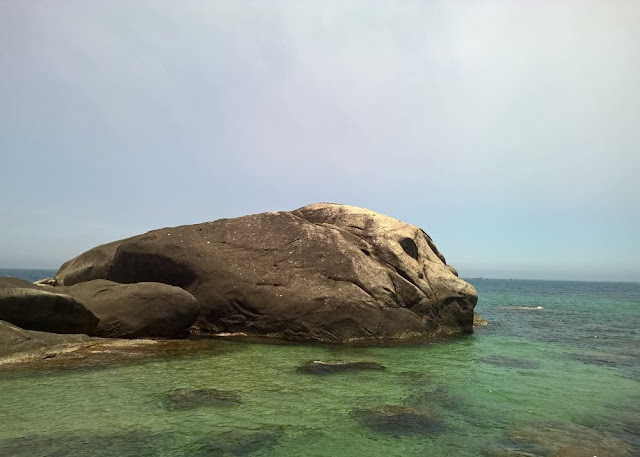 - Enjoy swimming in the shallow natural pools at the rock reef for safety. - Absolutely no littering rubbish and destructing the natural landscapes.